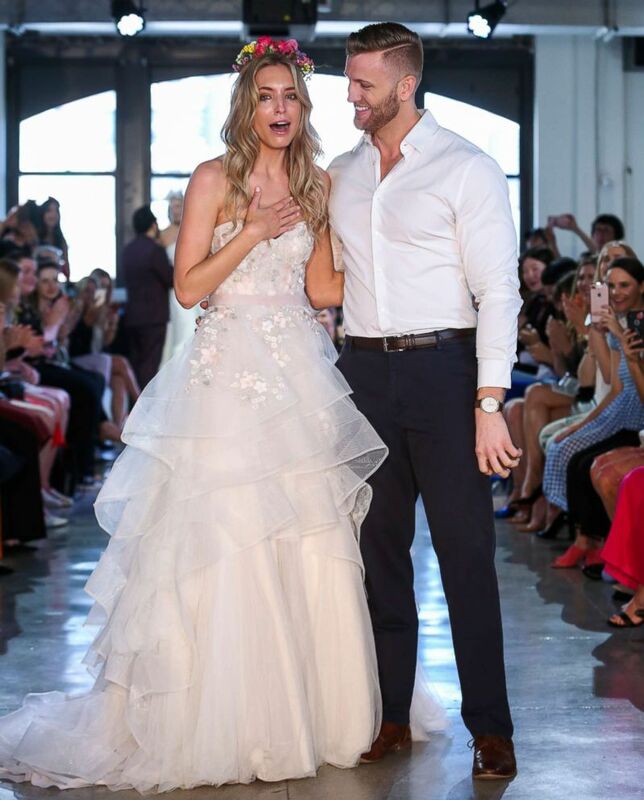 A Bridal Fashion Week model stole the show when her then-boyfriend dropped to one knee in the middle of the runway. Nicole Kaspar was the finale model in bridal fashion company Watters’ Spring 2019 show last week in New York City. And for the Dallas-based model, it started off like any show. Kaspar, 27, thought she had made a mistake on the runway. But soon, she’d realize that her boyfriend of two years, Chad Stapleton was actually proposing. 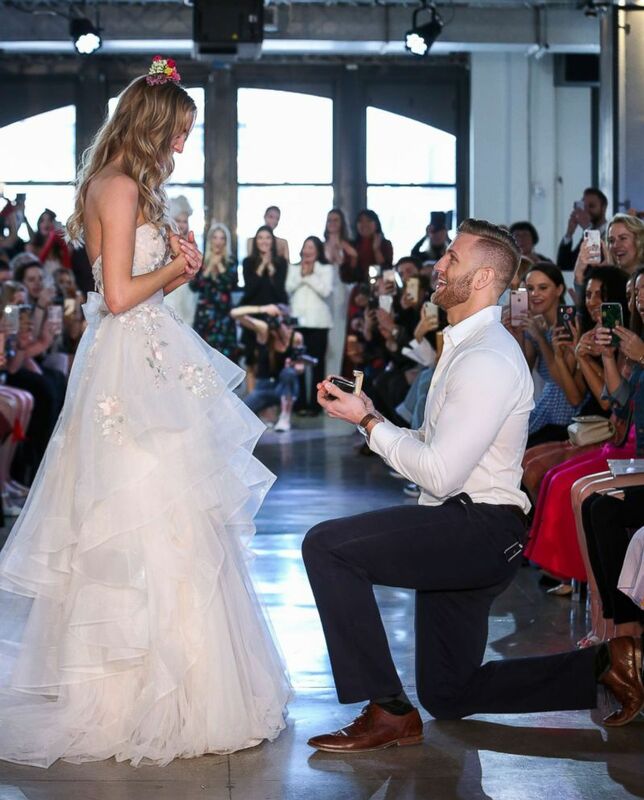 Chad Stapleton proposed to his now-fiancee Nicole Kaspar during Watters Bridal Spring 2019 fashion show, April 14, 2018. 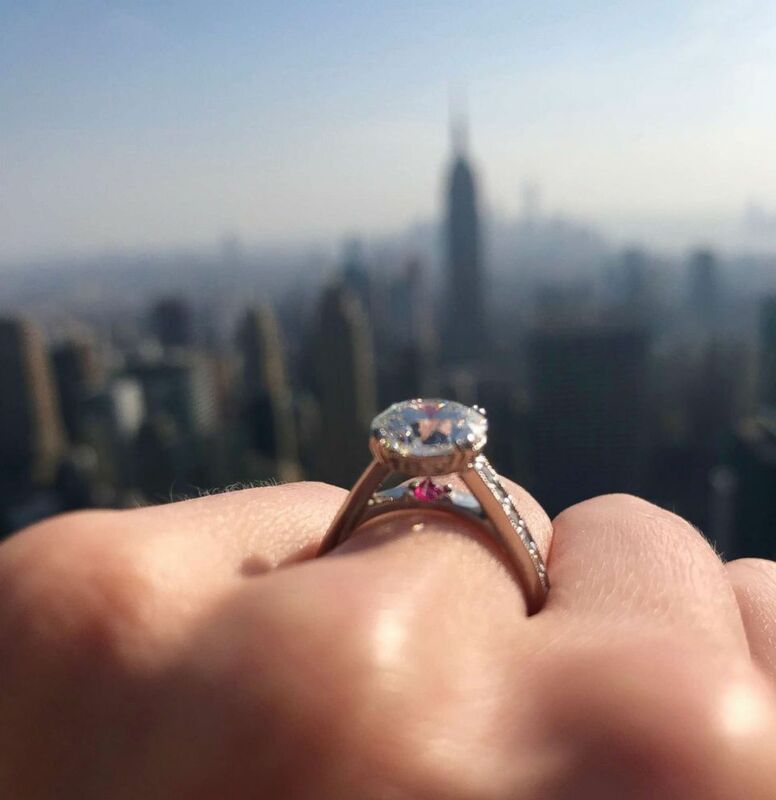 Stapleton, who’s a dentist based in Dallas, told ABC News he had been trying to plan the perfect proposal for eight months. “I wanted to propose to Nicole related to something she loves and that’s traveling and modeling,” he said. And after meeting a Watters’ designer at their annual model search, the idea was born. He invited their parents to join him at the fashion show to witness it in person. And after Gutierrez’s final bow, Stapleton, 26, dropped down to one knee, proposing in front of family, models and press. Kaspar, who’s been modeling since age 15, said her now-fiancé pulled it off perfectly. Model Nicole Kaspar shows off her engagement ring, which features a ruby inverted underneath her center diamond stone. The model’s engagement ring, which has a cathedral setting, features an inverted ruby stone in the lower band. Stapleton said there’s a reason for it. Chad Stapleton and his now-fiancee Nicole Kaspar are pictured in New York. The two are now looking forward to planning a wedding in Texas. “And I’m looking forward to starting a family,” Stapleton added.